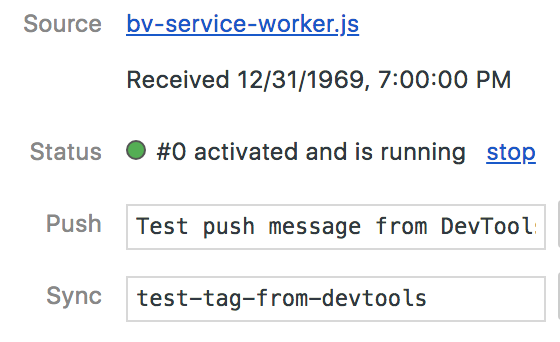 I am using the serviceWorker.js file created using create-react-app with the purpose of showing a custom offline page to the user when the user is offline. When I register the serviceWorker the only thing I cache is an image file. Everything appears to work find and dandy until I start making HTTP requests to my backend API. Specifically I get an 404 error not found when I try to access these backend APIs. When I refresh the page, all of sudden it looks like my service worker errors out? Notice the red error cross marker. I click on it to see the error but it doesn't show anything. Furthermore, I also noticed whenever the service-worker errors out like that, my post requests stop working. In other words, when I don't refresh the page and there is no error, the post requests do work like they should. Any ideas whats happening? Browse other questions tagged service-worker workbox or ask your own question. How to fix an issue of images from cache not being displayed in my PWA?